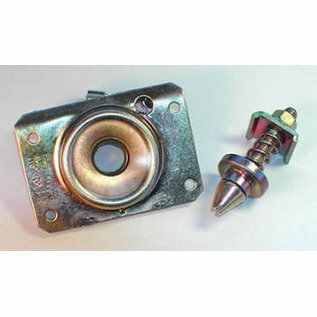 This cable release trunk lid latch has a spring loaded stud and a built-in safety feature for the latch to close. Perfect for your hotrod! 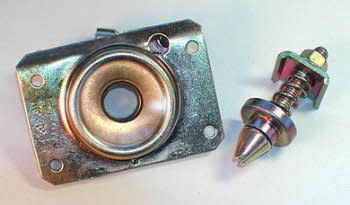 Cable release ready receiver measures 2-3/8″ x 3-5/16″ wide. 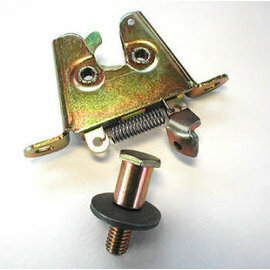 The spring loaded stud is 2-3/4″ long, overall, and the adjustable spring loading helps to pop the trunk lid up. 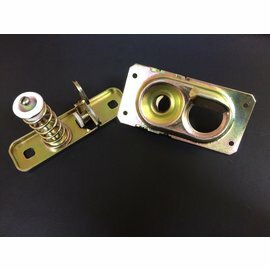 The latch has a built-in safety feature requiring cable tension for the latch to close. The finish is zinc yellow chromate. You’ll have to fabricate brackets/supports for attaching both pieces but we know you can do it!